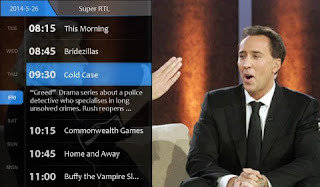 The most of modern TVs, which even isn't possessing a prefix "smart" in the name, have connection support of television dongle on Android operating system, which significantly extends functionality of TVs. It is curious that similar process can be made with the smartphone. Thanks to special microUSB-receivers which are connected to the Android-smartphone. 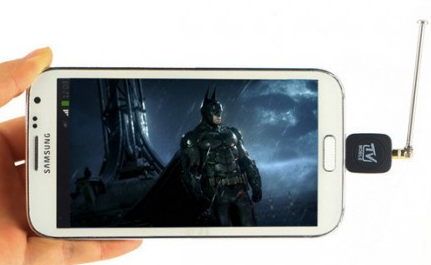 It make possible a watching television on the screen of phone or the tablet without connection to the Internet. Modern receivers for mobile devices have the extremely compact sizes and practically don't influence device weight. The classical extender for the smartphone supports DVB-T and DVB-T2, working in the range of frequencies of 48,25 ~ 863,25 MHz. Such devices don't exceed a matchbox size and have 7,5-10 grams weigh. However, in 2016 we wish to receive something is more modern and have wider set of functions. For example, MyGica PT360 allows to record video, make rewind, read the electronic program guide, keep in memory favourite channels for fast and convenient connection and many other things. It is important to remember, for the correct work, device is requires Android 4.1 or is newer and USB OTG support. By the way, TV receivers with the external antenna can significantly improve quality of the image. On the one hand, such improvements remind the first China smartphones which were the extremely popular a few years ago. Length of the external attached antenna can reach to 8", however this doesn't influence on the weight of the module. The majority of widespread models possess standard a set of options. 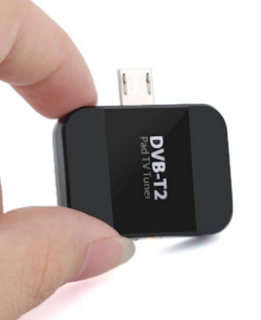 TV receivers for Android smartphones support the DVB-T and DVB-T2 standards (MPEG2 and H.264). Their work depends from the software, without which tuner not usefull. Fortunately, large producers published firmware programs which are rather convenient in use. The interface of such programs reminds a videoplayer with extended functions. At the first connection the receiver will suggest to specify or will define automatically your location, and then will scan available frequencies for definition of channels. In spite of the fact that TV receivers for smartphones seem a rudiment against modern technologies, this category of devices recently again becomes quite popular. They have low cost, simplicity of use and much more quality in comparison with predecessors. First of all such device will be estimated by those, who often happens on the way or outdoors, and also works outside the city. Choice on market is presented for every taste and a purse.